A.Portland Cement: a dry powder made by burning limestone and clay, and then grinding and mixing to an even consistency. B.Concrete: a mixture of stone aggregates, sand, portland cement, and water that hardens as it dries. C.Masonry: refers to anything constructed of brick, stone, tile or concrete units set or held in place with portland cement. D.Mortar: a mixture of sand, portland cement, water and finishing lime. E.Finishing Lime: a powder made by grinding and treating limestone. F.Fine Aggregate: sand and other small particle of stone. G.Coarse Aggregate: gravel; large particles of stone used in concrete. H.Clay: the smallest group of soil particles. I.Sand: small particles of stone. J.Silt: a substance composed of intermediate size soil particles. 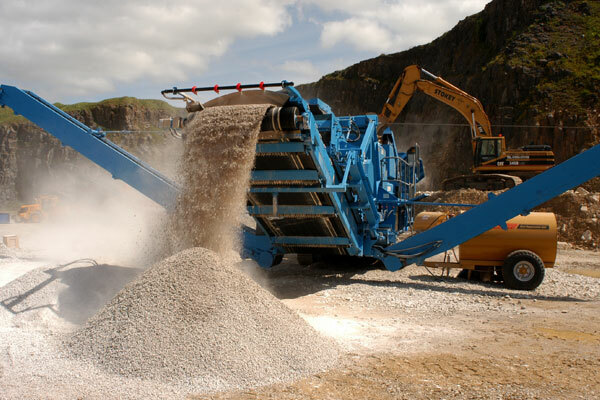 K.Gravel: particles of stone larger than sand; also called coarse aggregate. L.Washed sand: sand flushed with water to remove clay and silt. M.Air-entrained concrete: ready mix concrete with tiny bubbles of air trapped throughout the mixture to strengthen it. How does the bonding of aggregates form concrete? A cement and water mixture produces a paste that coats the surface of each of the pieces of aggregates. After a few hours after mixing, a chemical reaction starts between the cement and water called hydration. When this chemical reaction begins, the cement paste hardens gradually and the concrete sets. Upon the completion of the chemical reaction, the cement and water paste will harden much like glue and binds the aggregates together to form the solid mass of concrete. How do you select the ingredients for concrete? Chemical combination of calcium, silicon, aluminum, iron, gypsum and small amounts of other ingredients. Portland cement is not a trade name, but is used to distinguish this group of cement from other kinds. Most cement will pass through a sieve of 40,000 openings per square inch. The cement manufacturing process includes several chemical reactions. The result is a hydraulic product which sets and hardens after reacting with water. Types of Portland Cement are manufactured to meet physical and chemical requirements for special application. Type II: Modified Portland Cement: has a lower heat of hydration than Type I. Air entraining Cement: designated as Type Ia, IIa, and IIIa and basically correspond to Types I, Type II, and Type III. lowers the water and sand requirements per cubic yard. Used in structures of considerable size, such as large piers, heavy retaining walls. Air entrained Cement: used for the same type construction as Type I, Type II, and Type III. Gravel, pebbles or crushed rock ranging in size from 1/4 inch up. Size of coarse aggregate to use depends on the thickness of concrete slab being poured. In thin slabs or walls the coarse aggregate should not exceed 1/3 inch the thickness of the concrete being placed. To make good concrete, aggregates of various size should fit together to form a fairly solid mass. Stone particles must be clean and free of clay, silt, chaff or any other material. Light weight insulating materials may be used to produce concrete which weigh 15 to 90 lbs. per cubic foot. Fill a 12 ounce prescription bottle with sand up to the 1 2 ounce mark. A 3% solution of caustic soda (sodium hydroxide) is added to fill the bottle to the 7 ounce mark. Shake the bottle thoroughly and let stand for 24 hours. If the liquid is darker than a straw color, too much organic matter is present. Fill a one quart glass jar to a depth of 2 inches with the sand to be tested. If the layer is not 1/8 inch thick in 1 hour, let the mixture stand for 12 hours. Then, remeasure the layers that have settled on the sand.